In my weekly research posts, I have presented different perspectives of the flipped classrooms. It is the subject of my annotated bibliography due at the end of the semester. When investigating an educational tool, questions are asked about if a model works for everyone. In previous weeks, I have presented some problems with flipped classrooms, including students with limited access and flipping for students with disabilities. Research professors, Nancy Lape, Rachel Levy, and Darryl Young; at Harvey Mudd College in California are doing the research over three years. Two articles about their research, beginning with Emily Atteberry’s “Harvey Mudd Professors’ Research suggests ‘flipped classrooms’ Might Not be worth the Hassle” and the follow-up “Can Flipped Classrooms Help Students Learn?,” cover what the professors have found since December 2013. The professors make it clear they’re not researching flipped classrooms to learn whether they are good or bad. Lape, Levy, and Young – through their three-year $199,544 grant from the National Science Foundation – want to know if there is any advantage and academic improvements in using flipped classrooms (Atteberry para. 5). They want to know if the flipped, or inverted classrooms, are a fad or a tool that will stick around in education. When discussing flipped classrooms, it is important to know the weaknesses – just like any tool – so you know whether it works for your classroom or find ways to improve the tool. According to Atteberry, the professors have done preliminary research finding students either “love or hated the new model” and some teachers and students thought the flipped classroom added more work (para. 11). These students feel like they have to set aside more time at home to watch videos. Teachers believe they must spend extra time creating content for videos and then come up with enough hands on, in class activities. 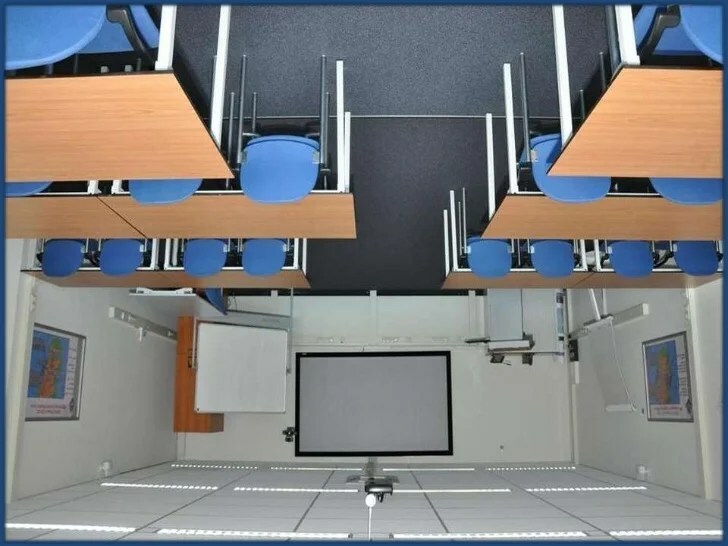 Do flipped classrooms make a difference for students? Researchers at Harvey Mudd College say that there is not much difference in student achievement between a f2f and flipped classroom model. Photo courtesy of Kathleen McKim. One significant idea teachers must consider when they create content is whether any of students have IEPs. How can a teacher differentiate instruction for students with different barriers in a flipped classroom? In another article, I mentioned creating captions in videos for students with hearing impairments. For students with short attention spans, teachers repeat important points or keywords in their videos. However, teachers still have more work to do when it comes to putting together content for online. In a survey, Attebery wrote teachers reported “80 percent of their students have improve attitudes toward flipped classrooms and that standardized test scores were up 67 percent” (para. 18). But, teachers need to know how to work with flipped classrooms. They need to understand not only how to create content, but what to do during class time. For example, seventh grade math teachers at Banks Trail Middle School attended a conference and learned about flipped classrooms. Their students worked together in groups on problems. The teachers became facilitators in place of lecturers. However, Lape, Levy, and Young write in their article “Can Flipped Classrooms Help Students Learn?” that a lot of flipped classrooms’ success depends on teachers’ knowledge and how they use it. When I’m learning about flipped classrooms, I have not considered the classroom time beyond group learning. Lape, Levy, and Young found that not every course and its teacher is meant to use flipped classrooms. According to them, an instructor should teach a course that is interactive, and the professor should be a good teacher (para. 8). Courses, such as business in which students are applying knowledge to real life concepts, are beneficial for flipped classrooms. A course such as philosophy is more difficult when it comes to finding hands on activities for class time. To some extent, Lape, Levy, and Young are right. Some courses present a challenge because teachers find difficulty in creating enough hands on activities. At the same time, I think, as a Language Arts teacher, there are plenty of ways to make the flipped classroom and class time interactive. One weakness I found in the study is that the professors are specifically looking at traditional courses such as Science and Math. They are less focused on arts and English courses. A lot depends on a teacher’s training with flipped classrooms, but I also believe one solution is to form a team of teachers and learn about flipped classrooms together before implementing them. Atteberry, Emily. “Harvey Mudd Professors’ Research Suggests ‘flipped’ Classes Might Not Be worth the Hassle.” USA Today. Gannett, 05 Dec. 2013. Web. 20 July 2014. Lape, Nancy, Rachel Levy, and Darryl Young. “Can Flipped Classrooms Help Students Learn?” Slate. Arizona State University, 25 Apr. 2014. Web. 20 July 2014.